to make a wreath with a fresh and soft look. 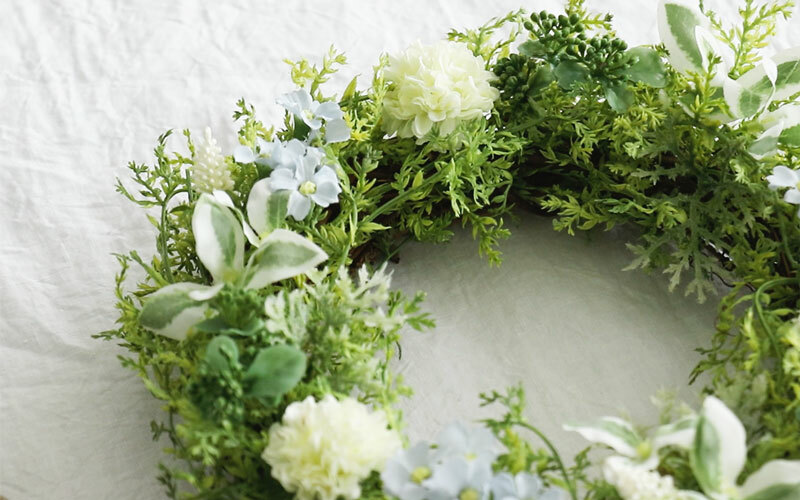 When the wreath is covered with leaves and flowers, it gives a refreshing impression to it. However, it would not happen just by applying leaves and flowers. But by wrapping it in a soft manner way, it would create a green wreath that would bring brightness to the room. 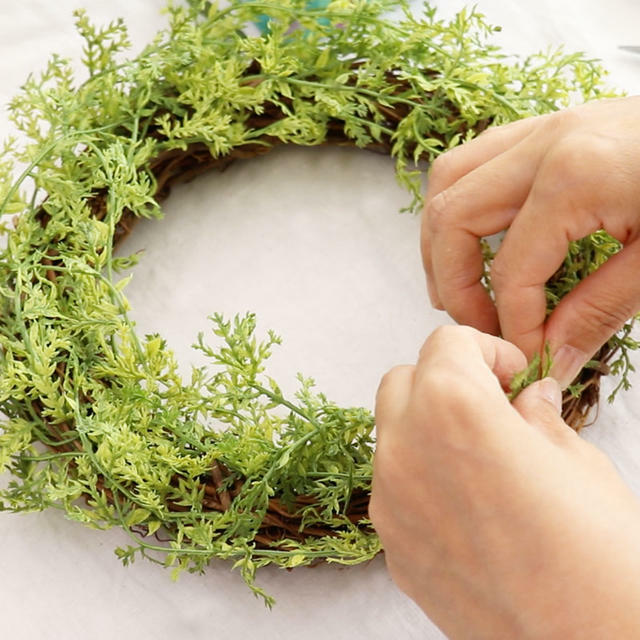 To make this type of wreath, there are tips on how to apply vines. to create a natural looking and fashionable wreath. 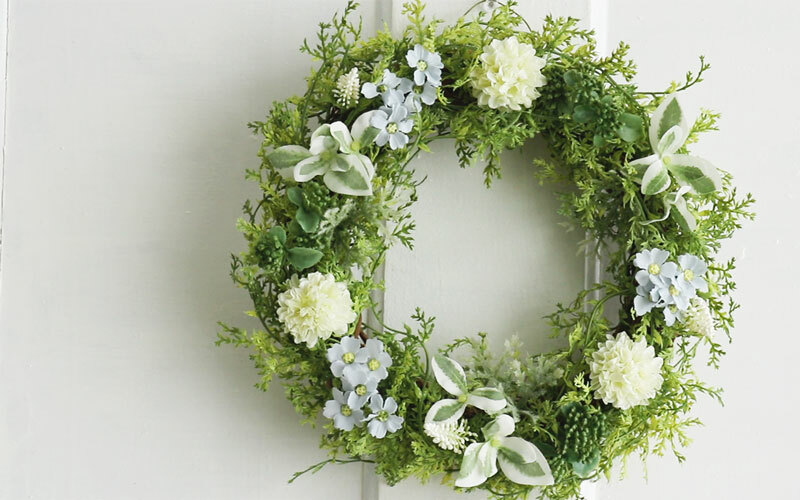 make easy and fashionable wreaths even for beginners. and is a great interior to match. The fresh green will give an accent to the room. try adding different types of small flowers and nuts and fruits to it. 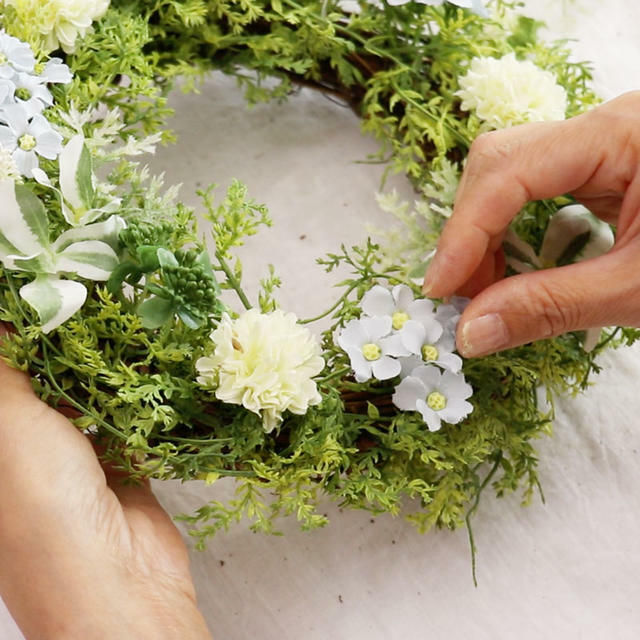 the image of the wreath may vary, so try to make various types of wreath.